Recently I've been borderline obsessed with looks that involve a touch of leather. I feel like in the wintertime leather can take an outfit from ordinary to something a little bit more. Leather can add a touch of flair in ways other accessories can't. A few weeks ago I bought a cotton tank top that had faux leather on the front and can't get over how chic it is. 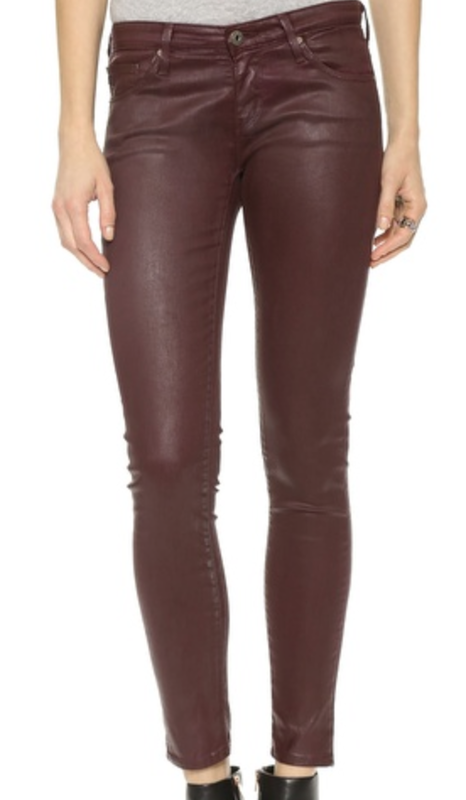 AG Leatherette Jeans: I'm a huge fan of Adriano Goldschmeid and I love that these jeans are more of a maroon/burdgundy color so they're a little easier to wear then a black leather jean. 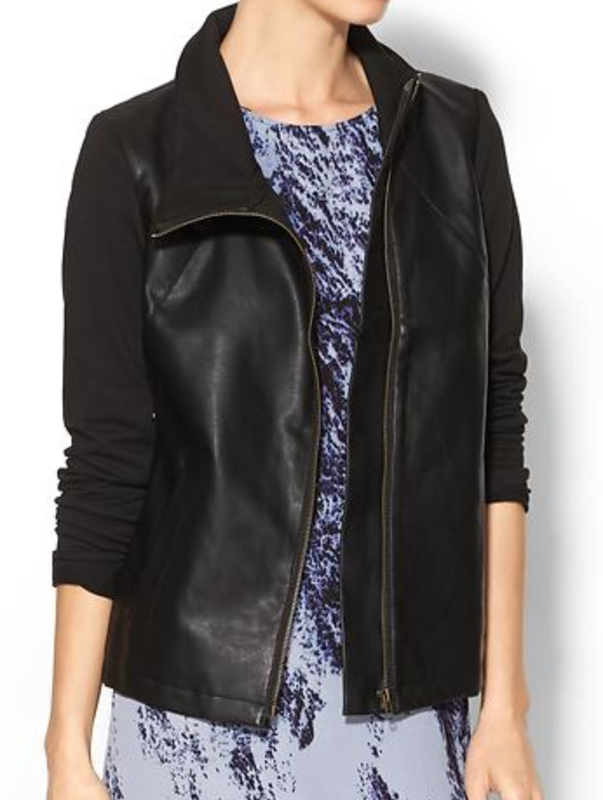 Tinley Road Twill Vegan Leather Jacket: I love that this jacket is just a touch of leather which makes it a good way to tie in leather to your outfit without fully jumping on board the leather trend. 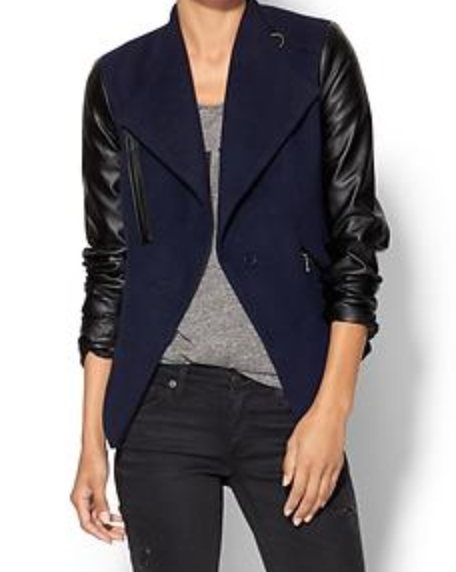 Tinley Road Vegan Leather Jacket Similar to the last option, this coat emphasizes the leather trend but isn't a full on leather jacket so it's more low-key. Leland Vegan Leather Sweater This is a great option to start off with if you're less adventurous. The unique elbow patches add just the right touch of leather without calling for all the attention. Do you have some favorite leather looks?